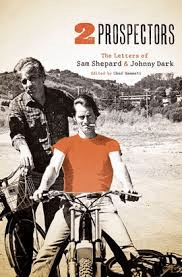 Featured in both Cannes and tiff (Toronto International), Film Festivals, Shepard & Dark is a film as fascinating as its two subjects; the Pulitzer Prize winning playwright Sam Shepard, and his best friend, Johnny Dark, who works in the deli of a Mexican grocery store. Last week’s Houston Cinema Arts Festival gave Houstonians a chance to see the film and ask director Treva Wurmfeld about the film. Neither man went to college but they both had a passion for theater. 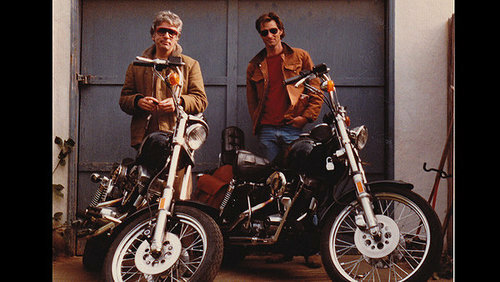 Johnny went to a play one night in New York City and someone pointed out the playwright, Sam Shepard, to him. The next day he saw and recognized Sam. He introduced himself and asked him to his house for dinner. Thus began a friendship that has lasted 47 years. Although seemingly different in every aspect, they somehow complement each other. The men shared a family home through much of the 1970s and into the early 1980s. Sam married the daughter of Johnny’s wife and they were a happy family for many years. Everything changed in 1983 when Sam met and decided that he couldn’t live without actress Jessica Lange. The choices that each of the men made at this point in their relationship would have been enough to make most friendships dissolve. Somehow, they muddled through and stayed in touch through stacks and stacks of handwritten letters. The great beauty of the film is that the filmmakers allow the audience to form their own opinions of the two men. Neither is treated as precious or unfaultable and while there are some glaring, easy judgments one could make, both men have a string of awakenings and struggles that deeply humanizes them both. The book that Shepard & Dark are working on in the film is now available from the University of Texas Press. The website includes sneak peeks of the handwritten reproductions, photographs and other memorabilia. Previous It’s Official! Jonathan Auxier’s New Book: The Night Gardener Will Be Released in Spring, 2014!